The Roughnecks enter the home-stretch of their regular season this Saturday, taking on the expansion Wings for the first time ever at the Wells Fargo Center in Philadelphia (10 a.m., watch on Bleacher Report Live). The tilt marks the Riggers’ third-last matchup of the campaign, and after dropping their previous tilt 16-9 to the San Diego Seals March 30 at the Scotiabank Saddledome, they’re determined to finish the season on a high note. The Wings are coming off of a 12-11 loss to the Toronto Rock last weekend, now sitting 3-11 on the season, but they’re not to be underestimated. Despite the Wings’ current last-place position in the East Division, a post-season berth is still in sight for the squad. And with the strong competitors on their roster, they’ll be fighting tooth and nail to stay in the playoff race. In an interesting storyline, Rigger defender and transition star Zach Currier will face his older brother Josh, a forward with the Wings. With the two siblings taking on opposing roles on their respective teams, you can expect a heated head-to-head match-up. 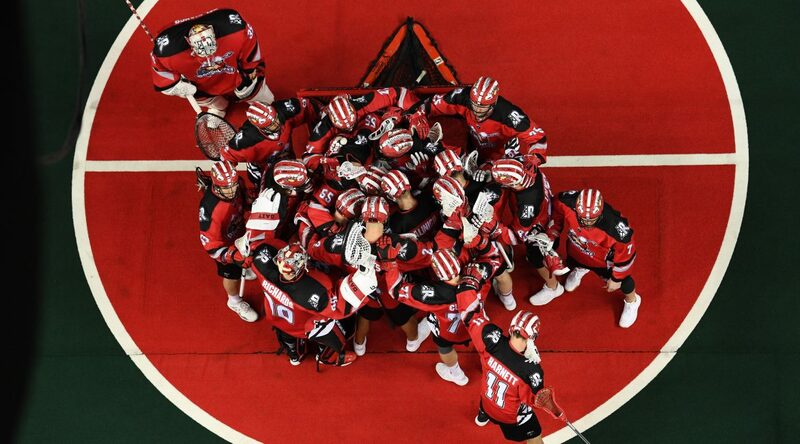 Last weekend, the Roughnecks secured a playoff berth after a Vancouver Warriors loss to the Saskatchewan Rush. The Riggers are now focused on securing a higher seed before the post-season. “It’d be great to finish higher in the standings and have a home playoff game in front of our fans,” Board said. The team also wants to develop some consistency after an up-and-down campaign. “We’ll just continue to preach our process, stay with the process and stay with the systems,” Board explained. “As an individual, if you look after your job on the floor everything will fall into place. It’s a team game; play hard defensively, offence by committee and have a strong transition game. When all those pieces fit we’ve had some really nice games behind us.